Uttarakhand is the best place to enjoy the ecstasy of Himalayas. The pleasant weather, natural splendor, spirituality and adventure bring travelers from all over the world. Snowcapped mountains, dense forests, green valleys, charming hill towns, thriving wilderness and pilgrim sites mark the entire state. Our 10-days Amazing Uttarakhand Tour offer a memorable experience. The journey covers places such as Almora, Binsar, Bageshwar, Ranikhet and Kausani. True gems of nature couple with adventure and unrivalled bliss. Start from Delhi and have an unforgettable holiday in the mountain state. On arriving at the Delhi Airport, meet our tour representative who helps you with an assisted transfer the hotel. If time permits, you can explore the nearby surroundings on-foot. Delhi, the capital city is a potpourri of cultures and the melting point of India’s politics. If you want, you can visit the popular markets of Delhi. Post breakfast in the morning on day 2, leave by road for Almora. Upon arrival in the evening, you get transferred into the hotel. Enveloped by the verdant hills of Kumaon on three sides, Almora is known for its salubrious climate. If time and energy permits, explore the nearby attractions on your own, admire the lovely views that the place offers. Placed at an altitude of 1638 m above the sea level, Almora has scenic beauty, lip-smacking food and lovely handicrafts. This is the place to be if you like to be at places that offer tranquility clubbed with serenity. Today, embark on a full day sightseeing tour of Almora. This beautiful hill town is sprinkled with a number of attractions; you can visit the one’s you like. Some of the popular tourist attractions include Publik Mueseum- also known as Govind Vallabh Pant Public Museum, it preserves lifestyle, culture, archeology and art of the region; Nanda Devi Temple- around 1000 years old, this temple is dedicated to Goddess Nanda Devi has stunning carvings on the wall; Bright End Corner- a view point on a picturesque location that offers memorable sunset and sunrise views and Deer Park- around 3 km away, this park boasts of a lush surrounding. Some of the other attractions that you may visit include Kalimtah, Katarmal, Chital temple and Jageshwar. In the morning of the 4th day, leave by road to Binsar from Almora. 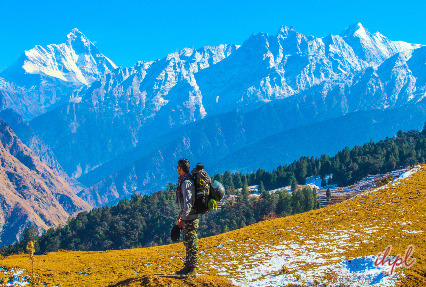 Binsar is famous for offering breathtaking views of snow capped peaks such as Chaukhamba, Kedarnath, Nandadevi, Trishul, Panchchuli and Nandakot. 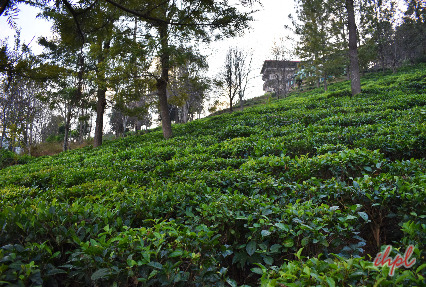 Binsar is a lovely town that is known for its vast variety of flora and fauna. Placed at an altitude of 2412 m above the sea level, it allures both seclusion seeks as well as adventure enthusiasts. Partake in bird watching, wildlife viewing, nature walk and trekking. Binsar is dotted with a number of attractions that are worth-visiting such as Binsar Wildlife Sanctuary- home to over 200 avifauna species, this wildlife sanctuary of the biggest wildlife reserved in Uttarakhand; Binsar Sanctuary Museum- preserving detailed information of flora and fauna of the region; Bineshwar Temple- also known as Bineshwar Mahadev Temple, this ancient temple was erected during the 16th century and is dedicated to Lord Shiva; Golu Devta Temple- around 4 km from the sanctuary, this temple is dedicated to the deity of Kumaon region was who was an incarnation of Gaur Bhairav and Zero Point- this highest point in Binsar sanctuary where photography enthusiasts can click memorable photos of the surrounding Himalayan peaks. Post sightseeing in Binsar, return back to Almora for overnight stay. In the morning, hit the road to Bageshwar. 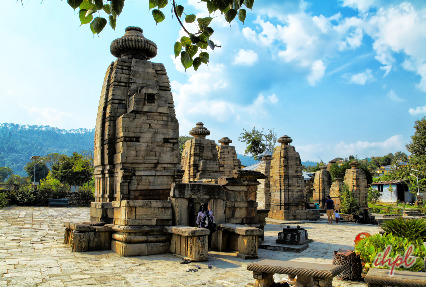 Bageshwar is famous for its group of ancient temples. The major temple is the Bagnath temple dedicated to Lord Shiva. It is also the starting point for most of the long treks. 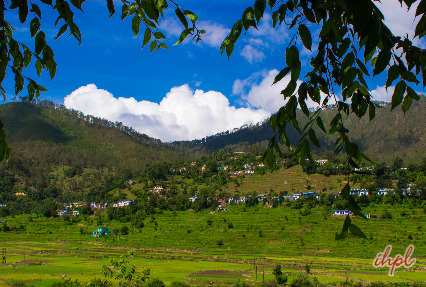 Placed at an altitude of 1004 m above the sea level, Bageshwar has been blessed with lush green surroundings. The place lies on the confluences of Rivers Saryu and Gomti. There a few attractions in Binsar that you may visit. Some of such places are Bagnath temple- dedicated to Lord Shiva, this temple was constructed in 1450 by Chanda dynasty ruler Laxmi Chand; Chandika temple- dedicated to Goddess Chandika, an incarnation Goddess Parvati, this temple is flocked by devotees during Navaratras; Baijanath temple- this temple is dedicated Lord Shiva and was built in Tailihata architectural style and Kanda- this is a beautiful location where you can click memorable photographs with your loved ones. In the evening, back to Almora for overnight stay. On the 6th day in the morning, leave by road for Ranikhet. On reaching Ranikhet, get transferred to the hotel and complete the check-in formalities. After the formalities, the day is free for individual activities. 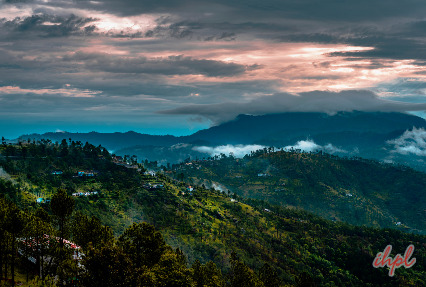 Placed at an altitude of 1892 m above the sea level, Ranikhet is a lovely hill station that boasts of superb views, lush green valleys and conifer trees, cool breeze pleasant weather and tranquil ambiance. Your visit is going to be a memorable one. Let the cool breeze brush past your face. Explore the place on your own. Post breakfast, enjoy a half day sightseeing tour of Ranikhet. 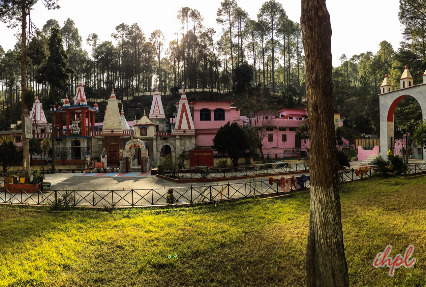 Some of the tourist attractions in Ranikhet that you can visit include Jhula Devi Temple- an ancient temple dedicated to Goddess Durga who is the presiding deity of this hill town, it was built way back in the 8th century; Ram Mandir- this temple dedicated to Lord Rama, is placed right on the top of Jhula Devi temple; Ranikhet Golf Course- India’s second biggest natural golf course; Nanda Devi temple- this popular temple bustles with activity in the month of September when the annual fair is held here; Rani Jheel- a huge artificial lake amidst beautiful surroundings; Hairakhan Dham- a spiritual place around 5 km from Raniket; Mankameshwar Temple- constructed in the year 1978, this temple has 3 presiding deities- Lord Shiva, Mata Kalika and Radha-Krishna and Bhalu Dam- built on a beautiful lake. There are several viewpoints also, offering lovely views. Post breakfast in the morning on day 8, hit the road to Kausani. On reaching Kausani, drive to the hotel booked for your stay. The rest of the day is free for leisure after the check-in formalities. Placed at an altitude of 1850 m above the sea level, Kausani is a serene hill station that is equally popular amidst family vacationers and honeymooners for its serene ambiance and panoramic views of the Himalayan Peaks. Kausani boasts of tall conifer trees, green meadows, salubrious climate, gushing creeks and more. You are free to spend the day as per your own liking and choice. It is a tranquil place offering fabulous views of the Great Himalayas and trekking opportunities. Post breakfast, enjoy a half day sightseeing tour of Kausani. The list of tourist attractions of Kausani that are worth-visiting include Anashakti Ashram- a perfect place for meditation where Mahatama Gandhi had spent a few days of his life; Pant Museum- the place of birth of renowned Hindi poet Sumitra Nandan Pant, it has now been turned into a museum that has an amazing collection for literature lovers; Lakshmi Ashram- founded by Sarlaben (originally Catherine Hillman)- a follower of Maatama Gandhi in 1964, this ashram works for the betterment of the women of Kumaon region and the lush tea gardens- where you can take a walk when the fresh aroma of tea fills your nostrils. Post breakfast in the morning, head straight to Delhi. On reaching Delhi, you will be transferred to the hotel to relax. Later, you will be transferred to the international airport to board flight for onward destination.